Whether we are helping people further their careers or their businesses. Express Bremerton believes that hope is the foundation for a successful life. We feel it is our responsibility to give back to our Kitsap County community through proactively supporting local companies and helping people succeed. Express Employment Professionals gives back to our local community through numerous volunteer and financial efforts. We are members of several local and national organizations. Including; Bremerton, Silverdale and Poulsbo Chamber of Commerce, Kitsap Home Builders Association, West Sound Human Resource Association, International Franchise Association, American Staffing Association and Alliance of Women Owned Business. Every year our team donates time and resources to Brand it Blue Day. 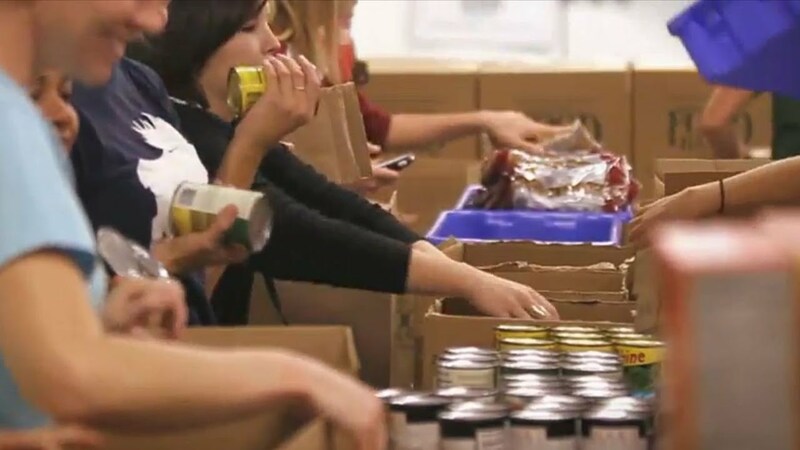 Working with local businesses and food banks to help end hunger in Kitsap County.